Happy Halloween! I actually have quite the busy social calendar today with two different Halloween parties (not to mention a Dia De Los Muertos party tomorrow). For the halloween get-togethers I’ve baked these cookies which I must say are mouthwatering. Great recipe for using up leftover candy corn! Keeping it short (and super sweet) today, but I’ll be back tomorrow with another outfit post – have a safe Halloween and I hope you get all the candy you could ask for! PS – Shopbop launched a whole bunch of great new markdowns and I can’t decide what I want to buy (there are too many fab pieces). These coated skinnies are calling my name, but I’ve also had my eye on this plaid coat (I die)! If you’re in need of classic, wear-forever booties, this pair is on sale too. Click here to shop all new markdowns! Happy Halloween! 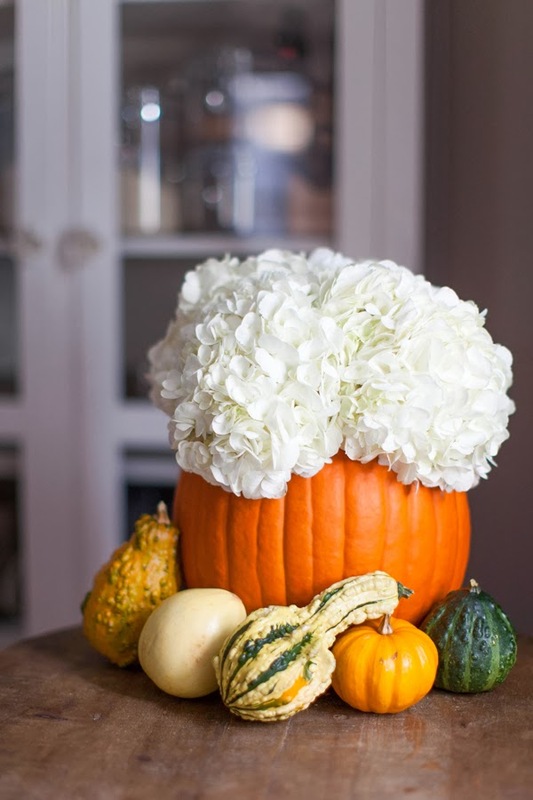 Love the florals inside the pumpkin! Happy Halloween Merritt! And thanks for being the guest blogger on my blog today! The cookies look delicious! Happy Halloween Merritt! Enjoy the parties! Those cookies look so cool! You definitely need to post pictures of your Halloween festivities! Thanks for sharing about the shopbop sale!! You definitely need to get those skinnies…such a classic! loving the flowers in the pumpkin — how classic. I love the idea of using leftover candy in a cookie, and I’ll definitely be adding these to my recipe repertoire. Have fun at the Dia De Los Muertos party!